A premium quality four-wheel trolley with beautiful look and simple one-step height adjustment handle, the Bagboy Quad XL golf trolley allows the standbag to stay stable and safe due to upper bag bracket with modifiable support arms. The trolley includes multiple handles for accessories like: tees, ball marker or bottled water, as well as resilient handlebar with smart phone holder, plus it’s very compact, easy to fold for convenient storage and transportation. 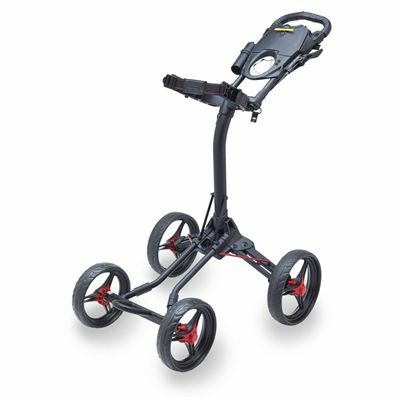 This excellent trolley weights light 7.27kg (16lbs) and features maintenance-free, solid foam tyres for pleasurable and relaxing mobility on the golf course. Effortless 1-step handle adjustment suits golfers of all heights. for submitting product information about BagBoy Quad XL Golf Trolley We aim to answer all questions within 2-3 days. 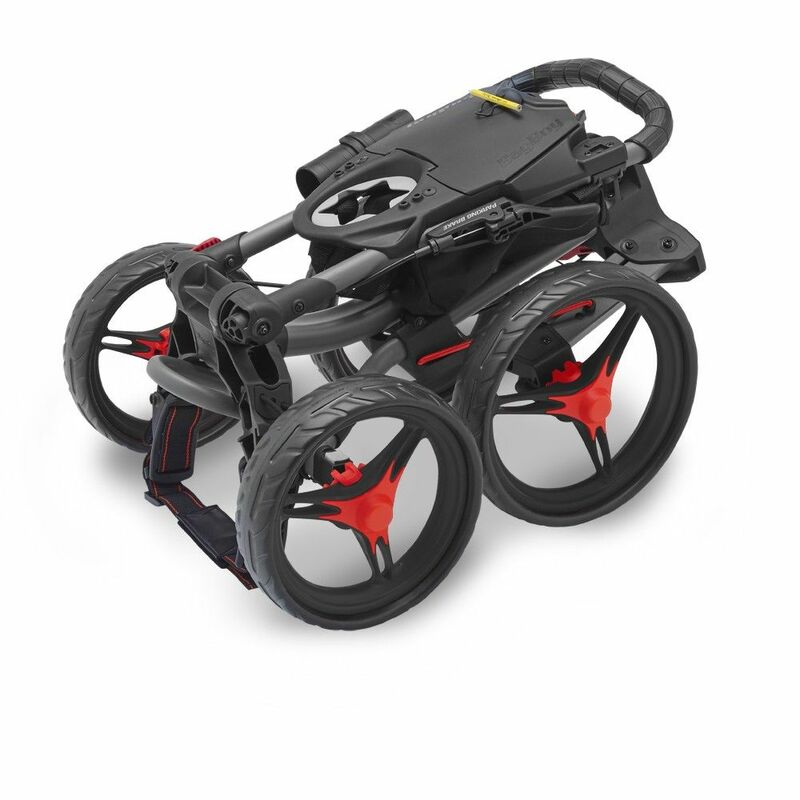 for submitting product information about BagBoy Quad XL Golf Trolley. We aim to answer all questions within 2-3 days. If you provided your name and email address, we will email you as soon as the answer is published. Excellent trolley, easy to manoeuvre and very sturdy and well made but light. for submitting product review about BagBoy Quad XL Golf Trolley.